A WHITE PRIDE WORLD WIDE DEMONSTRATION HAS BEEN CALLED BY THE NATIONAL FRONT IN SWANSEA ON THE 5th OF APRIL 2014. THE DEMO IS CO-ORGANISED BY AN UMBRELLA GROUP OF BRITISH WHITE NATIONALIST THAT CALL THEMSELVES ‘FOR RACE AND NATION COLLECTIVE’. The National Front is on the rise in south Wales. In January 2014, they held their Annual General Meeting in Swansea. This meeting went ahead un-disrupted by any antifascist and/or Antifa. Since then, people from several areas throughout south Wales have contacted the NF to organise local demonstrations. In one of them, a small group of people confronted them. However, no call out was made nationally. 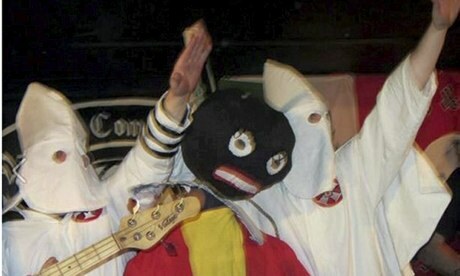 In March 2013, the first UK-wide White Pride World Wide event was held in Swansea organised by the National Front. Up to 100 fascists attended and although outnumbered, they held a static demonstration with minimal confrontation or disruption. This time, they are trying to make it bigger than last year. The NF is also part of For Race and Nation Collective: a combination of multiple fascists groups who believe in white supremacy. They are co-organising this demonstration. If they are not properly confronted again, the city of Swansea is in danger of becoming the White Pride UK Capital. Swansea is becoming the NF capital in Wales, as mentioned earlier. Swansea, Wales or anywhere on this planet. 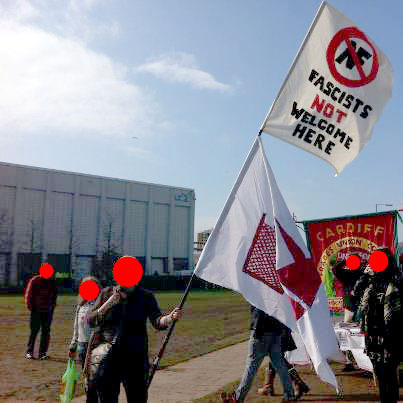 We, as anti-fascists in Wales want the National Front and all fascist groups out and out forever. This is an urgent call out for anyone who identifies as an anti-fascist to come to Swansea on the 5th of April 2014. This is the time when we urgently need all the support from anyone from anywhere who is against fascism and racism. 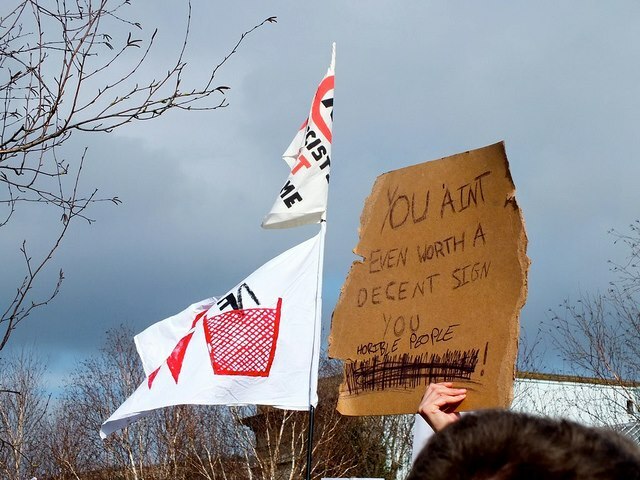 Please put the 5th of April 2014 in your diary and come to Swansea to stop the UK’s White Pride World Wide. See you on the streets! ¡No Pasarán! We are an independent group of antifa people who live in Wales. Our main objective is to organise resistance against fascism in Swansea. We are currently organising a counter demo. Quiet a lot of info on last year’s event here and here and this is the Facebook event from last time. The White Pride demo pulled about 60 fascists who were opposed by 300-400 anti-fascists. 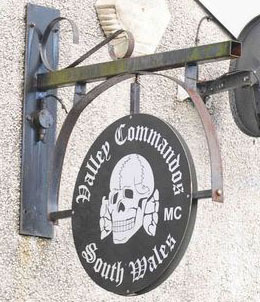 The demo was followed in the evening by a Blood and Honour gig hosted at the Valley Commandos Motorcycle Club. VCMC denied all knowledge of the event’s true nature, but given that their logo is an SS death’s head and they appear to have hosted neo-Nazi events before (see comments here), it does make you wonder… Hopefully they will not be repeating their mistake and hosting Nazis again.